The Yuwaddy Center is a café, handicraft shop and youth community center that provides training and employment for underprivileged women in the post conflict areas of Thandaungyi, Karen State. Al their handmade creations and products are available for purchase in the Yuwaddy Center with great local coffee, bags and many eye-catching products made from local material. A YWCA Myanmar (Young Women’s Christian Association) social enterprise, Sa Ba Street Food Tours is helping to train and mentor a young team of cooking enthusiasts in all aspects of cooking and kitchen to life to deliver first-class cooking classes in downtown Yangon. Child labour is sadly common place all over Myanmar. For many families unable to support their young or in need of vital income, children are sent to work in the cities. Teashops and restaurants are the kind of places where young people will end up working long hours for very little pay. That's why we are promoting the work of Myanmar Mobile Education Project (myME). Launched in January 2014, myME was the first non-formal education and outreach program to provide schooling and assistance specifically to child labourers. Bringing the classroom to them—directly where they work (and often live). The project was initiated by gutting and converting old school buses into mobile classrooms that visited teashops. At present, due to the large amount of participating teashops and students, several teashops are converted into classrooms after working hours. 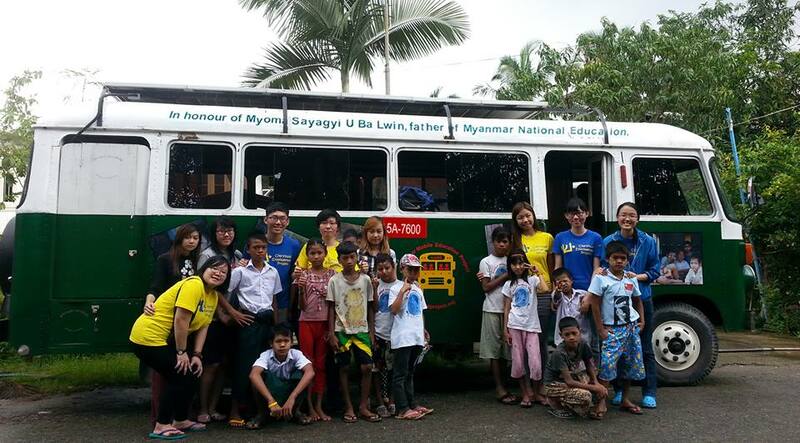 Starting out with one bus and 60 students in two Yangon teashops. Their success has been tremendous. Today, with over 3,000 child workers enrolled in the program in Yangon, Mandalay and Kyauk-Se, serving 53 teashops and operating 7 days per week providing 10-12 classes per day. There are five buses operating in Yangon and Mandalay. To date, 58 students from six tea shops have graduated level one and more than 10,000 children in Myanmar have been touched and benefited from the myME program.